Executive Eye Care is your source for your optical needs with an inventory of over 600 designer frames to choose from. Executive Eye Care offers our patient form online so they can be completed it in the convenience of your own home or office. Welcome to Executive Eye Care! Call us at 713-225-2600 today. 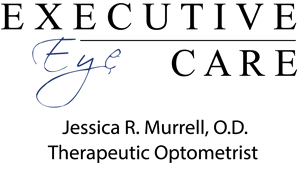 Executive Eye Care is your source for locating an independent eye care practitioner who is committed to providing patients with the highest standard of personalized care. Dr. Murrell is a highly trained professional member of the eye health community who strives to offer each patient the high quality personalized care they deserve. At Executive Eye Care, we are dedicated to providing high-quality optometry services in a comfortable environment. Call us at 713-225-2600 or schedule an appointment today online.